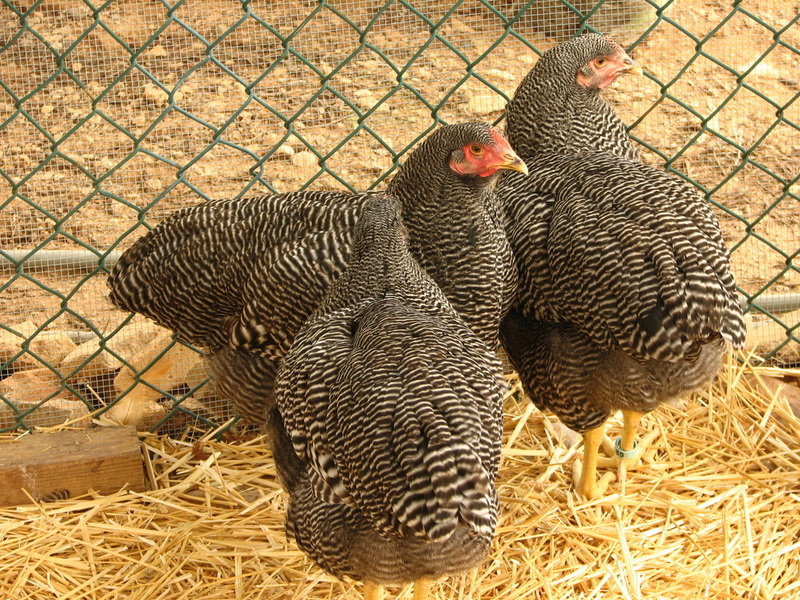 My original Barred Rocks were descendants from the oldest line of Barred Rock in the country: the E.B. Thomson Imperial Ringlet line from the late 1800's to early 1900's. This line is now in the hands of Frank Reese of Good Shepard Poultry Ranch and others due to his generous sharing of stock. 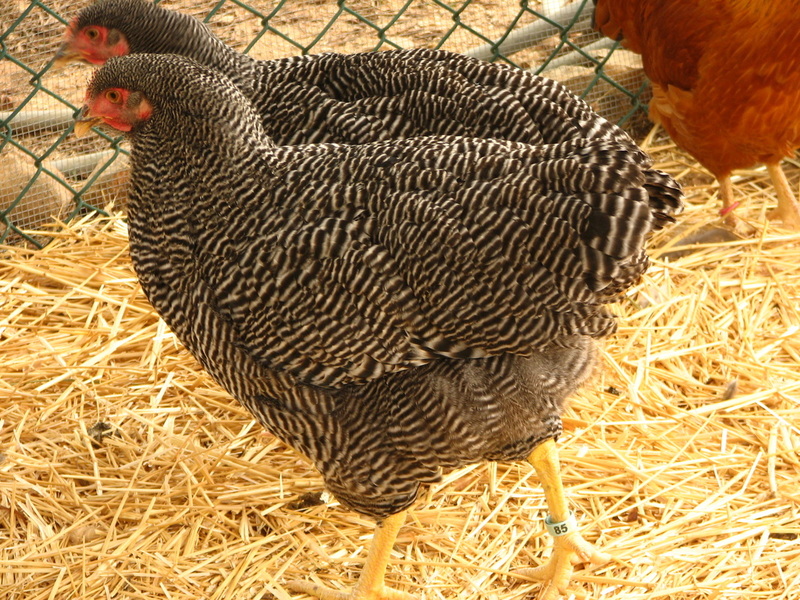 In 2014, decreased hatchability in this line lead me to outcross to two other fine lines of Barred Rock and I received a male from Marvin Stukel and a male from Jamie Duckworth. 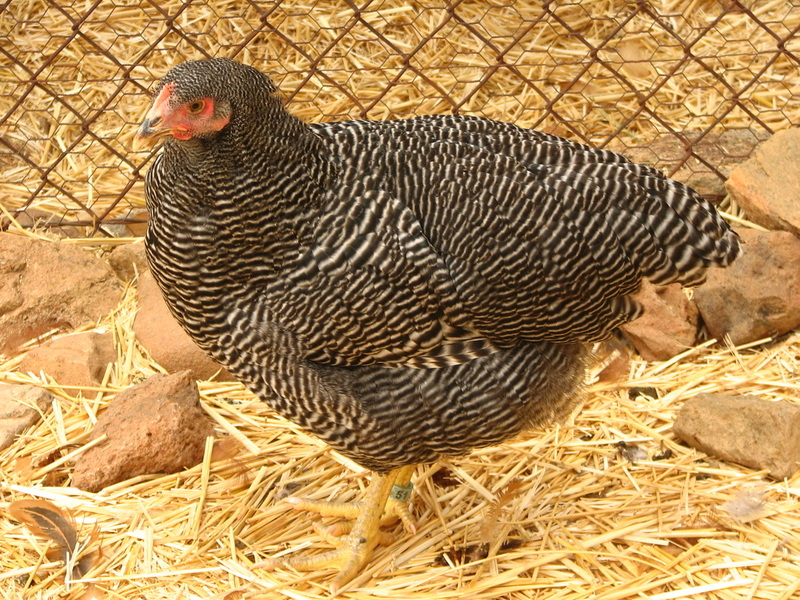 Both males were put over Good Shepard hens, many chicks raised up from both, and the best kept for breeding. In 2015, my main emphasis was on the Good Shepard X Stukel line. 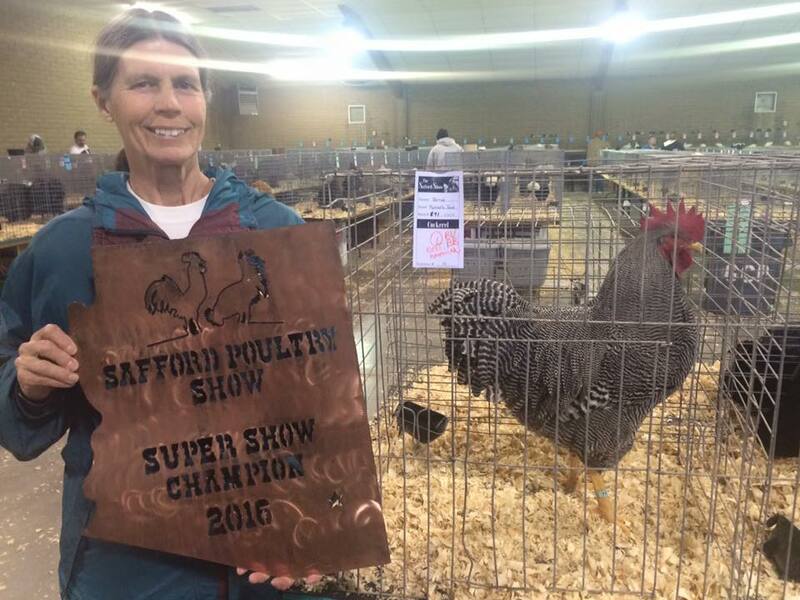 My hard work with this breed paid off when one of my cockerels won Super Show Champion at the Safford, AZ show in January of 2016. 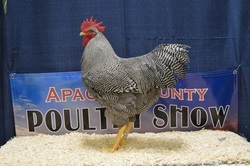 Of 10 cockerels entered (22 total Barred Rocks entered), the 6 I entered took first through fifth place. barring puts any hatchery stock to shame. ● Impressive size: 10 lbs or more on the mature males is not unusual. ● Exceptional meat birds: cockerels mature slowly and don't crow until they are already of good butcher weight.